As we near December and the upcoming holiday vacation, many kids have Christmas and Santa on the brain. It can be a tricky few weeks in December to keep the learning engaging and fun with all the excitement in the air. 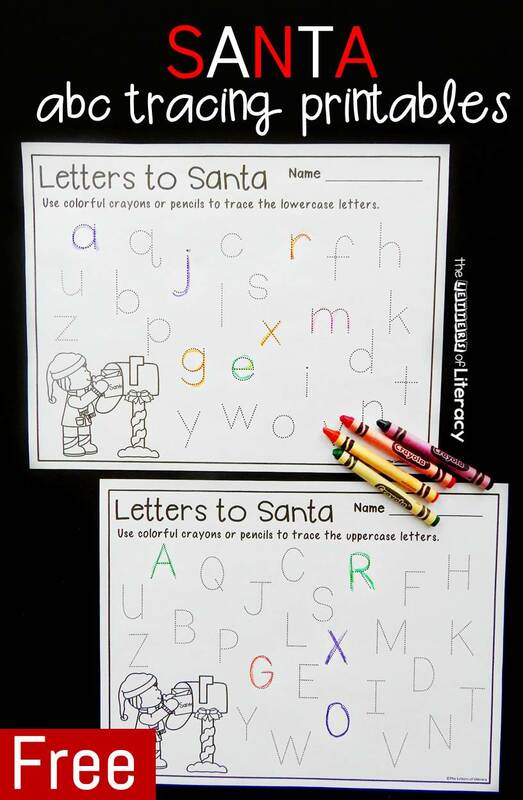 After how much fun we had with our turkey alphabet tracing printables over Thanksgiving, I thought we would enjoy some Santa themed letter tracing printables as well! 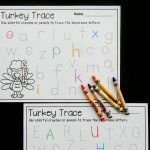 These simple letter tracing printables are a quick and easy activity to get some alphabet learning into your day. 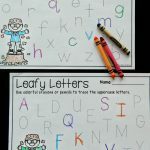 Simply print out the page you wish to use (either lowercase or uppercase letters) and grab your favorite writing tools – then you are ready to trace! We used our trusty Crayola crayons (because a new box of sharp crayons is the best, isn’t it?) but I also love to use different tools like short markers and other things to up the engagement factor. 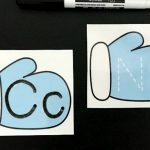 You could even dip q-tips in paint and trace the letters with them! Yes, it’s not as neat, but so what? 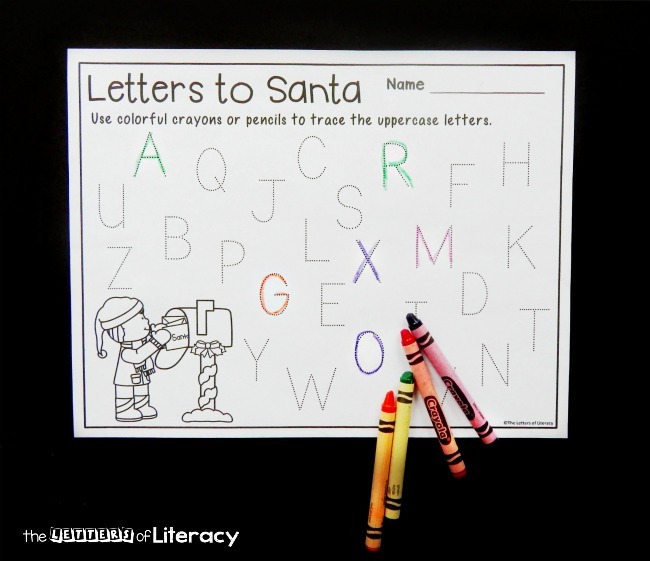 It will be a blast and a fun way to learn more about letters and letter formation. 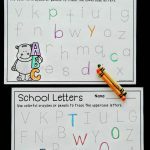 You can let them randomly trace letters (I often do this for a morning work activity or arrival task) or in a small group, you could even play a beginning sound version, where you say the letter sound and they find the corresponding letter to trace. Ready to write some letters to Santa on your own? 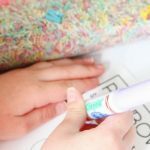 Grab your copy of the fun letter tracing printables by clicking the blue button at the end of the post. 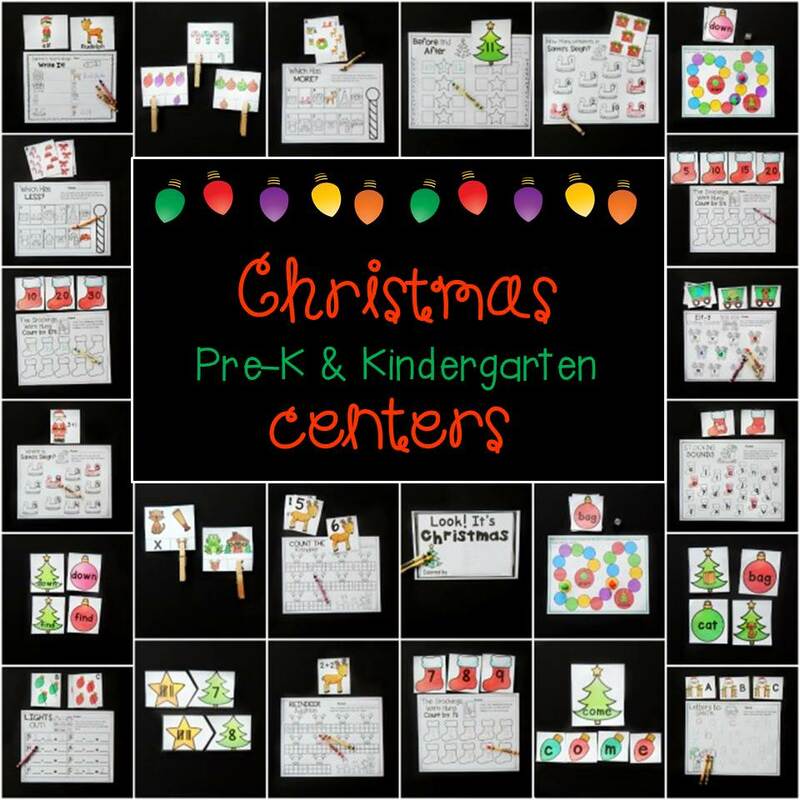 Then have TONS more learning fun with our 24 Christmas themed math and literacy centers for Pre-K and Kindergarten! 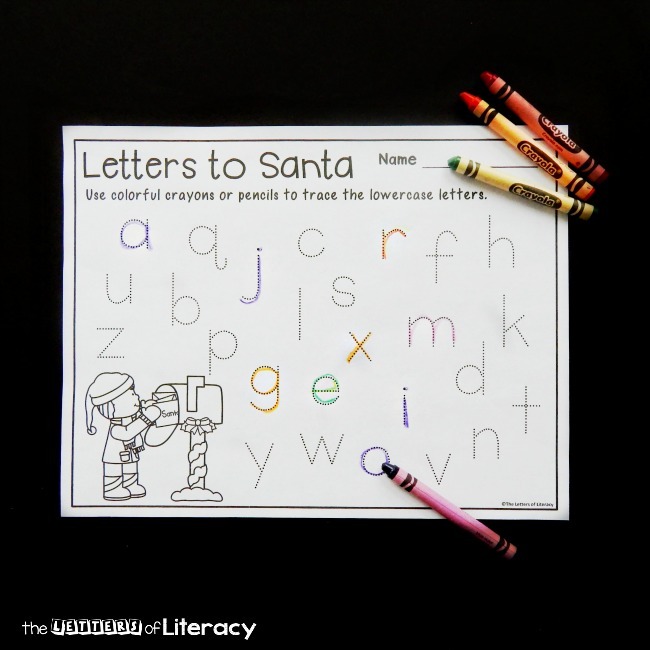 love the letters to santa sheet.